The cost depends on the number of grafts one needs. For current prices, please call our office at 310-315-4989. At the consultation Dr. Sean will measure the area you want filled and do a count of the number of grafts you need in a single procedure. To understand more about how the consultation is performed, please click here. Dr. Sean has performed over 2,000 cases and he performs only one case per day. If you have a flexible schedule and are available to be called with short notice (usually within 1 week or less), we will reduce your cost by an additional dicount. This does not apply to patients paying the minimum. When considering cost, it should be considered that Dr. Sean only performs one procedure per day. He could easily perform more. He does not because he does not want any aspect of the procedure to be rushed and he wants each patient to have his full attention. Dr. Sean does not spare a penny when it comes to maintaining the highest quality. Most important is the preservation of newly harvested grafts. The newly harvested hairs must stay healthy to achieve the exact artistic look that was originally intended. We have invested heavily in the best equipment,tools, lighting and cooling systems to preserve grafts’ survival. Dr. Sean takes the time to create thickness, natural symmetry, balance, proportion, and blending . There are over 250 steps in a successful hair transplant and every one of them must be done correctly with highest attention to detail. Dr. Sean performs only one hair transplant daily (no matter how many grafts are being transplanted) in order to make sure every step is done with the highest care and dedication. Dr. Sean’s goal is for each patient to have the best experience possible as well as the best possible result. If a patient needs a maximum session, he will teach the patient a scalp exercise so the maximum number of grafts possible may be extracted. This means the patient actually pays less per graft. The amount of grafts that can be harvested in one day depends on the hair density of the donor area and the laxity of the scalp. 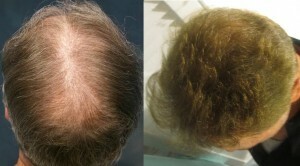 During the free consultation Dr. Sean will examine your scalp and determine if you are a candidate for hair transplant. If so, he will tell you how many grafts you will need and and how many can be harvested in one procedure. 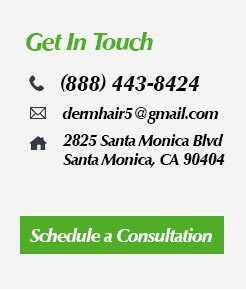 For a free consultation / hair loss exam please call 888-443-8424. We understand that cost is always a factor and we do our best to make hair transplant more affordable. That being said, we feel that our prices are fair. Fair to the patient who wants the highest quality work, as well as fair to us because Dr. Sean and his staff are dedicated to each patient having the highest quality experience and result. This gentleman had 1913 grafts placed in the mid scalp and crown area. Results after 1 session. We also have financing for those who desire it. Zero percent interest for up tp 24 months if needed. The link to Care Credit is Here. Class 4. Left Side view. 2,000 grafts. One session only. Please pay attention to how natural the hairline is. hair transplant is an art, especially the hairline creation. The fact remains that high quality is not cheap; yet we have strived to make it affordable and we have succeeded by innovation, automation, and investing in right places. For example before FUR automated process we could only harvest 300 hair transplantation grafts per hour. Dr. Behnam designs and manufactures his pwn instrumetn and tools and this allows us to extract from 500 – 1,100 hair grafts hourly. This should reduce our cost significantly which we can then pass to our clients. 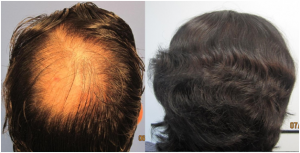 Before and after 2,515 grafts placed from the hairline up to the crown. All done in one session.